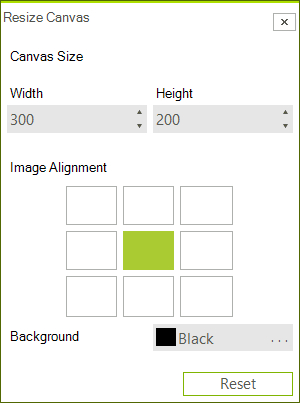 You can use the Canvas Resize button which will open the canvas resize dialog. In the dialog you can set the alignment, the size, and the BackColor. The following snippet shows how you can use the ResizeCanvas method. You will need to specify the size, the alignment, and the BackColor.